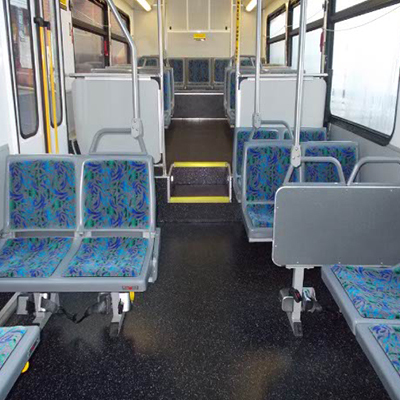 Sardo has provided the Public transportation industry with expert Seating Repair & Upholstery Services for more than 26 years nationwide. 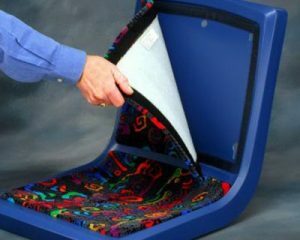 We are the Industry leaders in Passenger Seating Innovation, Transit Seat Refurbishment and Interior Modification Services. 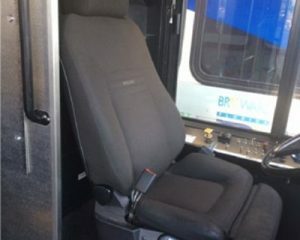 Replaces passenger seat inserts; added comfort; speed in maintenance servicing; no screw or clip fasteners; and reduced cost for updating transit bus seating. 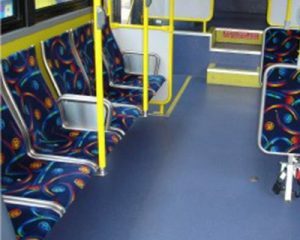 Removal of used inserts, stripping off the worn fabric and adhesive, steam cleaning the core, reupholstering with new fabric, reinstallation of the units. 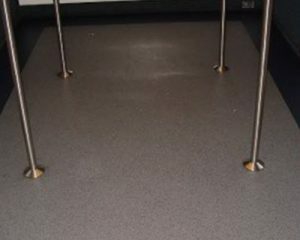 Floor and Subfloor Repair & Replacement, anything you might need for your transit flooring, with many options to choose from. This combination of departments allows Sardo Upholstery to execute orders for either type of vehicle. 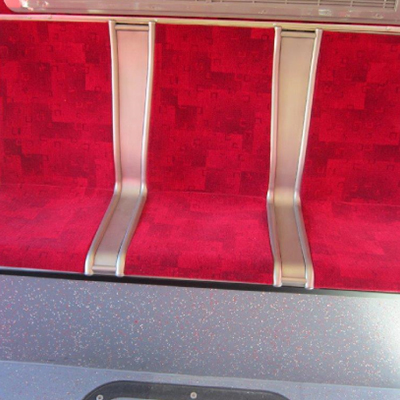 For over ten years Sardo Upholstery has been installing, recovering, or manufacturing new seating for Public Rail Systems. 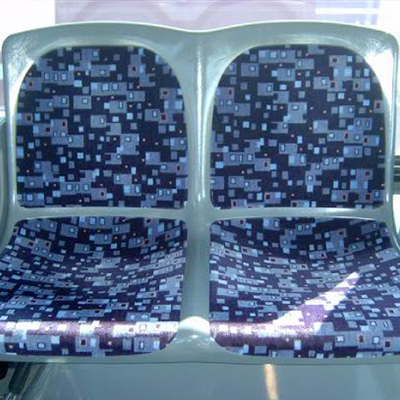 Rail seating can offer challenges in design from those in bus applications. It is the experience of the Sardo staff that makes these challenges non-existent. 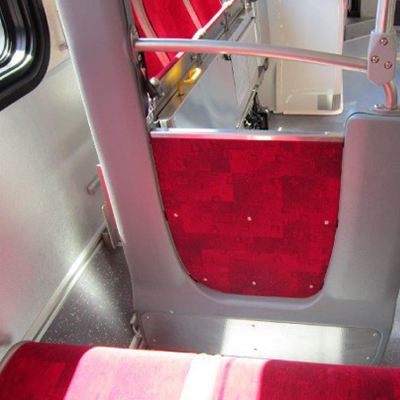 Our personnel can custom make seat cushions or inserts for any type of rail vehicle. Our mobile road crew can be included in the process to install the new items on-site. 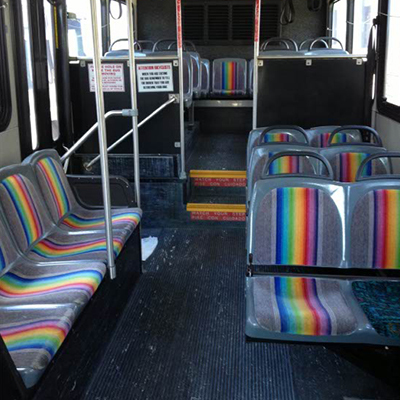 If your organization would like the “ease of use” to deal with only one seat cushion or insert supplier for both its rail and bus fleets, look no further than Sardo Upholstery. Our experience leads the way for success. Featuring our Sardo Mobile Road Crews traveling nationwide providing our customers on-site services! 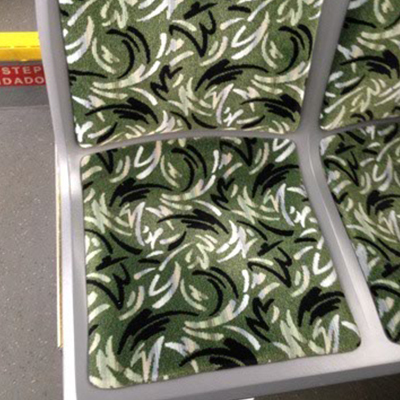 © 2018 Sardo Bus & Coach Upholstery.